Fair. ***SIMPLY BRIT*** We have dispatched from our UK warehouse books of good condition to over 1 million satisfied customers worldwide. We are committed to providing you with a reliable and efficient service at all times. Very Good. 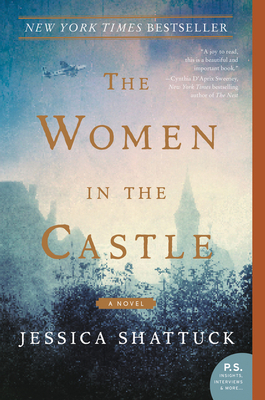 The Women in the Castle by Shattuck, Jessica, 2018-01-02. Trade paperback (US). Glued binding. 400 p.
Very Good. The Women in the Castle by Shattuck, Jessica, 2017-03-28. Glued binding. Paper over boards. 368 p.